Samsung Galaxy S6 Active, the best water-proof smartphone finally launched in USA with P68 rating, qHD display, 64-Bit Octa-core processor, Android Lollipop, 16-MP+5-MP camera. Samsung Galaxy S6 Active will be available in USA from 12th June through AT&T at $23.17 per month for Two year contract and $920 without contract which is approx. Rs 59,999 in India. No confirmation about it’s global rollout so far. Samsung has recently launched all new Samsung Galaxy S6 Edge and Samsung Galaxy S6. The all new Samsung Galaxy S6 Active is a water proof, dust proof, and shock proof smartphone supports P68 rating allows you to sustain up to 1.5 metres for 30 minutes offers you the fastest LTE Cat. 6 that supports up to 300Mbps of download speed with NFC, Wi-Fi, Bluetooth, Samsung Pay, Finger Print scanner and heart rate sensor will offer you a 5.1”-inch qHD AMOLED display with (1440 x 2560) screen resolution with 577ppi and Corning Gorilla Glass 4 with wide-angle HD Viewing perfect for watching movies, playing games and reading e-books. Samsung Galaxy S6 Active runs on latest Android 5.0 Lollipop powered by a powered by 64-Bit octa-core Exynos 7420 processor with 3GB RAM with 32GB internal memory expandable up to 128GB Via MicroSD card slot offers you blazing multi-tasking experience and superior gaming environment. For shooting Samsung Galaxy S6 Active offers you a 16-MP Rear camera with OIS (Optical Image Stabilization) and Sony-made IMX240 sensor and a 5-MP front camera for clicking selfies powered by a powerful 3500mAh battery Fast charging and Ultra power saving mode promising 4 hours battery life in 10 minutes of charging. 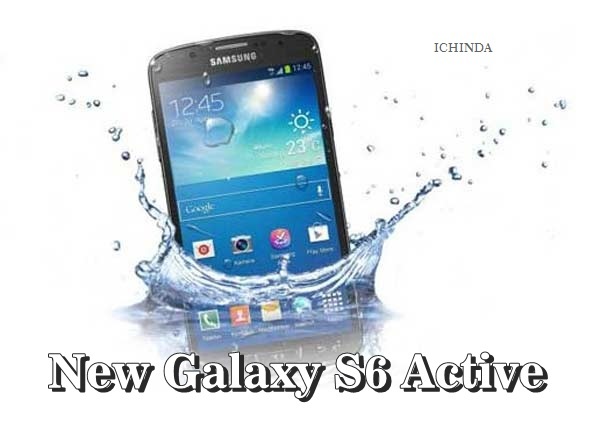 At last few honest word, all new Samsung Galaxy S6 Active is coming to rock the high-end smartphone market. What you think? Please be open to give your view.